Aren't you tired of your normcore look every day? 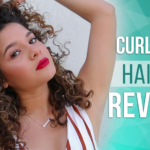 Isn't that craving for having the right curls never ending for you? 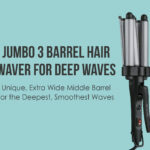 Welcome Remington Pro 1-1½" Curling Wand with Pearl Ceramic Technology and Digital Controls that guarantee you will bid adieu to dull and dry hair. Known for its repair techniques and frizziness issues, this hair curler is your way to look on-point. I was looking for a curler that would help maintain the balance between my look and curls, and I guess I have found it in this curler for sure. 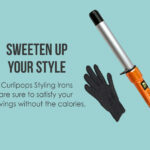 Show off your sassy side as you say yes to this hair curler. 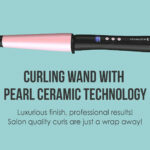 This curling wand comes with pearl ceramic coating that has a bit of shimmer touch to it. This hair curler is quite sleek by appearance. It has a digital display and also LCD lock. This hair curler takes about 30 seconds to heat up. It automatically shuts off after 60 minutes in case you left it on while rushing to work. This hair curler has a barrel shape which is apt for loose curls. It includes a cool tip which makes it easier to style your hair. This product also comes with a heat proof pouch and the best part is it comes with a 5-year warranty. 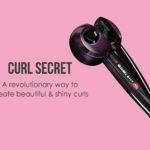 This product ensures your hair stays put throughout the day and hence this is the curler you need to add to your vanity. 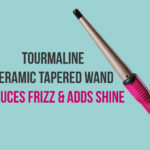 This hair curler prevents overheating, and its auto-off feature is quite well known. It also controls accidental temperature change especially when you are styling your hair. The key lock feature has all the control. The cool tip is made of insulation material which makes sure that the curler is not heated up too much and cools down while you are using it on your hair. 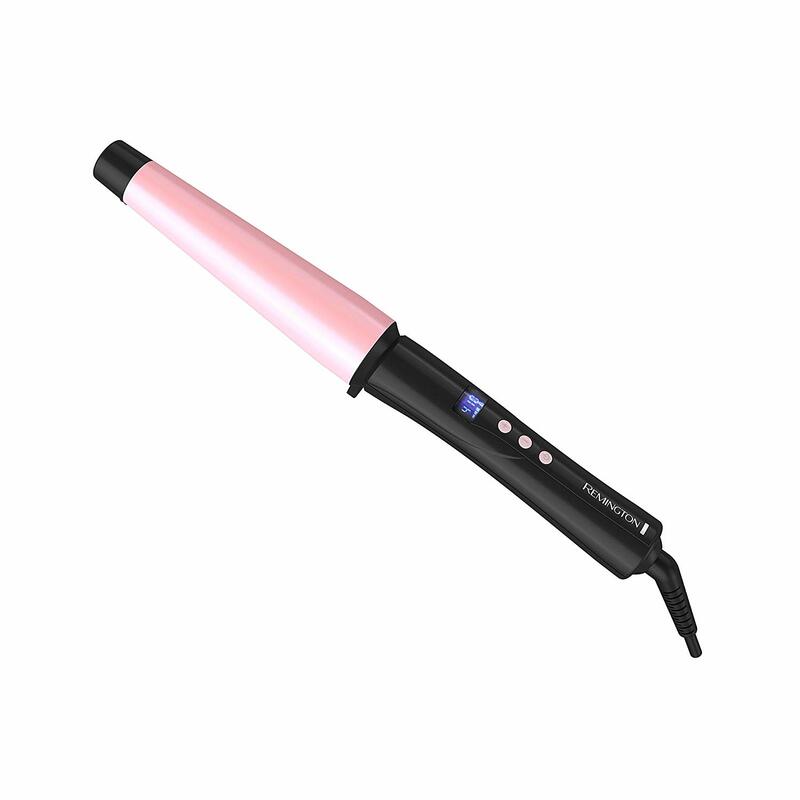 The voltage feature made on this one lets you understand the exact temperature needed for your hair type. Remington hair curler also comes with a protective grip. This curler comes with 3 m Swivel cord that makes sure that your hair stays tangle free after usage. In a real sense, these curls stay for about 6 hours in total. The wand is known to glide effortlessly on every strand and add about that voluminous look to your appearance. The Pearl coating is quite durable making it easier for your hair. It's resistant to chemicals and adds smoother curls. Since you can control the heat, it's definitely good news to try out this product. No fret or being paranoid about burning yourself or your hair as the wand is treated with professional care for your safety. This one also comes with a worldwide voltage that's an add-on. It's a perfect portable travel companion that you can bag. Take it to south or north as the voltage takes care of your hair, no matter where you go. I have also seen the magical side of this curler that keeps my hair all curled up for two days as well. I am a big fan of beach waves and loose curls. Unkempt looks suit me, and hence I refrain from shampooing my hair the next day. This one is the best curling iron for long hair that I have used until now. Next time, when you are in a dilemma of curlers, don’t look anywhere else and say yes to Remington Pro 1-1½” Curling Wand with Pearl Ceramic Technology and Digital Controls. This one is quite fruitful for your hair and will guarantee double dekko as you start using it.